Typically made of brass, these instruments make different sounds when the musician blows into a mouthpiece and presses down on valve keys. 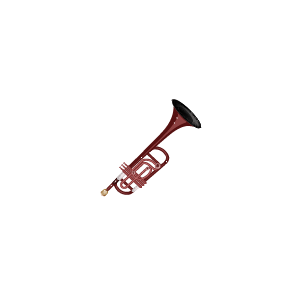 The trumpet is played through a metal mouthpiece and makes notes by pressing down different combinations of its three keys, called valves. The trumpet plays the highest notes in the brass family. 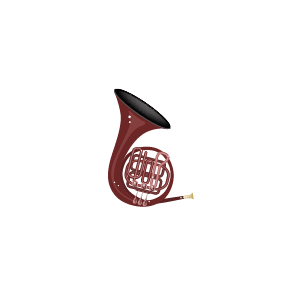 Made of metal, the French horn is created from a coiled tube that is rounded in shape. If uncoiled, the tubing would be 20 feet long! 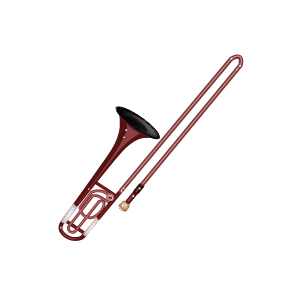 Unlike the other brass instruments, the trombone uses a long slide to create different notes, rather than valve keys. The trombone plays lower notes than the trumpet or the French horn. 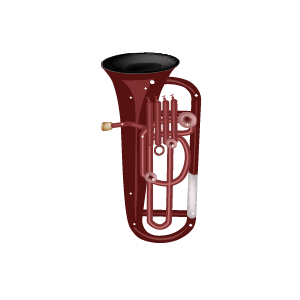 The tuba is the biggest brass instrument, and plays the lowest notes.